Monitored machines : Winding rotor asynchronous motor that drives two fans. 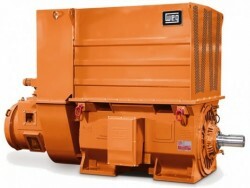 Function :The motor is part of a critical process of drying wood production. Type of motor / electric generator: o : Winding rotor asynchronous motor. Through the TestIM tool, Test Motors monitors an 800kW motor of a process machine within the wood manufacturing sector. Test Motors is in charge of the monitoring of an asynchronous winding rotor motor of 800kW , which drives a fan for the drying process of the wood production, for the predictive detection of the mechanical and electrical faults of the motor and the fan. TestIM, the on-line predictive maintenance solution implemented by Test Motors, is based on the installation of sensors permanently on the machine, the installation of a data logger in charge of receiving information from these sensors and software expert in charge of interpreting the data and making the warning of the breakdown that the machine is developing, in its initial state. Vibrations: Accelerometers installed permanently in the machines. They detect mechanical faults. Magnetic field: Sensor to detect electrical faults of the electric motor of the machine. Spectrum of currents and voltages: For the detection of electrical faults in the machine and the motor rotor. Spectrum of currents and rotors voltages: For the detection of faults in the rotor of the machine and the collector-brush assembly. Leakage current: To detect faults related to the electrical insulation of the machine. Temperature and speed: Detection of the temperature of bearings and windings of the machine and the speed of precise form.